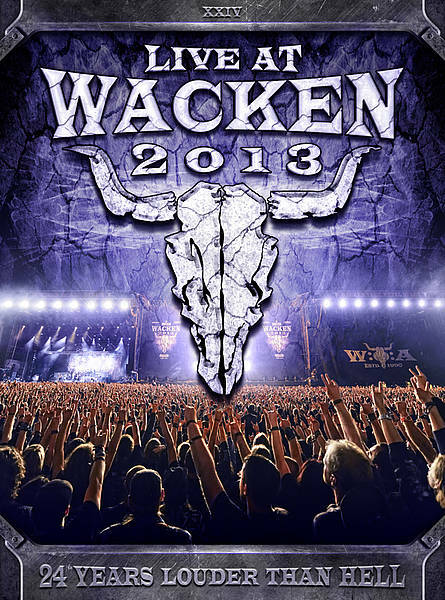 “Live at Wacken 2013” Compilation – OUT NOW! With the 25th edition of the world’s biggest Metal festival coming up this next weekend, it’s great to see the “Live at Wacken 2013” compilation released now via UDR Records! Other bands appearing are Alice Cooper, Nightwish, Sabaton, Motörhead, Deep Purple, Annihilator, Anthrax, Trivium, Devildriver, Soilwork and many, many more! This release supports the non-profit organization “Wacken Foundation“ with 1 Euro per sold DVD & CD. See you at W:O:A 2014 in the crowd!